Pros,  Cons,  Coupons and  Full Comparisons. This is the most comprehensive guide on Small Business Accounting Software testing and review available – GUARANTEED. from double entry book keeping to cash flow management. So if you’re looking to get your finances simplified and organised you’ll love this guide. Whether you’re a graphic designer or a florist, a freelancer or a greengrocer, whatever the business you’re running, you are sure to need some kind of accounting system to keep on top of things. The days of throwing all paperwork into the back of a drawer, then panicking when tax time comes around isn’t the ideal way to manage accounts. You probably think that you will need to invest a huge amount of money into decent accounting software or try and learn something that is hopelessly complicated. Well, it’s not quite like that, most accounting software is easy to use – and sometimes is even FREE plus it will enable you to see how well your business is doing and most importantly who owes you money. The question is though, how do you determine which is the best accounting software for you and your business? The likelihood is that you won’t find one that exactly matches your requirements and you need to keep in mind, that what you need at this exact moment, may not be what you will need say, in a year from now. The area of small business accounting is still an area that has a lot of competition – which is never a bad thing. However, this can make the decision making an even harder process. To save you the time and effort I have reviewed the top 7 Best Small Business Accounting Software’s and have highlighted both the good and bad points to help you make the right choice for both you and your business. Years ago, accounting software was cumbersome and complex and was geared up towards larger enterprises, rather than small businesses. Now, however, that has all changed. There is a huge range of software that has been specially designed for both self-employed workers and small businesses. The great thing is that most are reasonably priced, and some are even FREE!!. 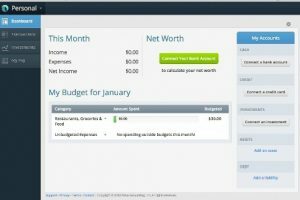 This software is designed to make managing your business finances a whole load easier and is designed to help with things such as invoicing, bookkeeping, payroll, and inventory. Many of the products also include loads of useful reporting tools, to help track cash flow and monitor profits and losses. But, where do you start?? Ok, so if you’re reading this review, I guess it’s because you had enough of messing around. Perhaps you’ve had it with trying to organise that overflowing box of receipts – you know, the ones that you’ve kept hidden under your desk for the past six months (out of sight out of mind, right? ), or maybe your struggling to recover a lost Excel document that contained all your January sales records. All growing businesses have that ‘light bulb’ moment when they suddenly realize that there must be a better way to manage their finances. If this is you and you’re experiencing this light bulb moment, (don’t be scared, just embrace it!!) 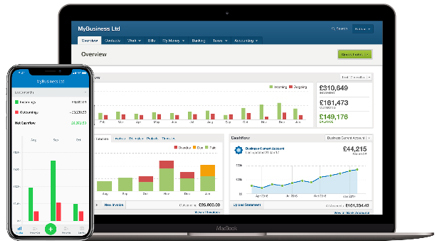 now is the time to invest in an accounting software programme, BUT not before you have read this awesome review. Every business both needs and should have accounting software. What this does is allows the business to reconcile their accounts, balance the books and actually know and understand where their money is going. It is a must for making informed business decisions but is also the key to filing CORRECT taxes at the end of each year. What ‘good’ accounting software does is to provide bank reconciliation, double-entry accounting, charts of accounts, and reporting – meaning that you can easily balance the books and correctly manage your finances. These days, modern accountancy software is generally cloud-based and is compatible with both PC’s and Macs, as well as being mobile friendly which means that they can be used on any device. Most also offer business management tools such as time tracking, invoicing and project management as well as free trials, which is great as it means that you can see if it suits your needs before committing to it. The REALLY GOOD ones though also throw in customer service resources which are great for teaching you how to actually understand accounting and therefore manage your finances successfully. But how do you know which accounting programme to choose – after all, there are loads out there? How do you know if you need full-blown accounting software or something more straightforward, such as an invoicing software app? Don’t panic (deep breathes), that’s what this review is all about. We’ve tested the top 7 business accounting software and have delved into each of their software features including, ease of use, customer support, and price. 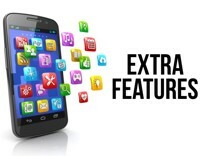 We have also covered the features of each app together with any ‘extras’ they might offer so that you can find the perfect accounting software option for you and your company. 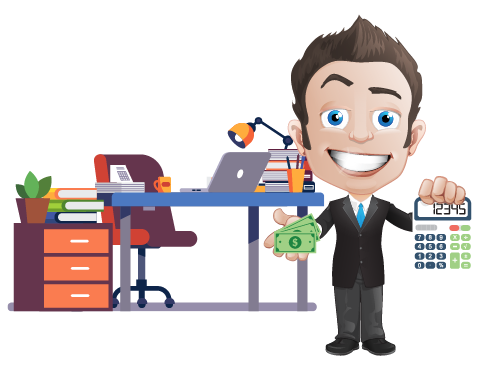 So, let’s dive straight in and have a look at what our top 7 small business accounting software’s have to offer. As promised, to help YOU to make the right decision, I’ll be taking an in-depth look at the Top Best Small Business Accounting Software 2018 providers and will be highlighting what works and what doesn’t. So, without further ado, let’s crack on…. Freshbooks was founded by Mike McDerment and Joe Sawada, from McDerment’s previous internet marketing consultant business Anicon in 2002. It provides cloud-based accounting solutions for small business owners and is based in Toronto, Canada. 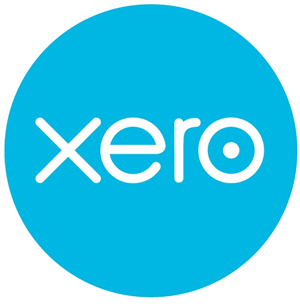 Xero was founded by Rod Drury and his personal accountant back in 2006. Xero is a New Zealand domiciled public software company and offers a cloud-based accounting software platform for both small and medium-sized businesses. The company has offices located in New Zealand, the United Kingdom, Australia, Canada, the United States, South Africa and Asia. 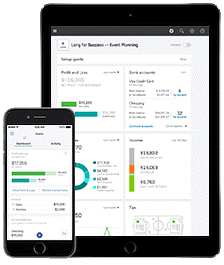 QuickBooks was founded by Scott Cook and Tom Proulx in California, USA in 1983 and is an accounting software package that is developed and marketed by Intuit. 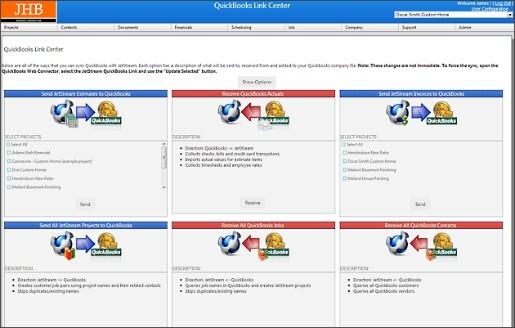 QuickBooks products are mainly geared towards small and medium-sized businesses and offer both on-premises accounting applications as well as cloud-based versions. Sage 50 Accounting is a subscription-based business management software product published by Sage Group and sold within the United States. 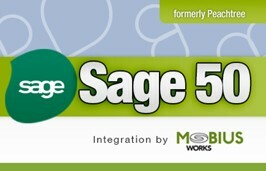 However, Sage Software was replaced with a new offering, Sage 50c. The “c” in Sage 50c stands for “cloud” which means users of the new Sage 50c can now store their accounting data in, and share their accounting data via, the cloud. Wave is a company that provides a suite of both financial services and online software for small businesses. Its headquarters are located in Toronto, Canada. The company manages over $244 billion in income and expense transactions for its customers, which include $16 billion in annual invoicing. 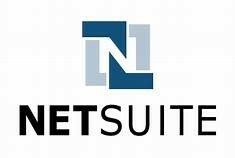 NetSuite was founded by Evan Goldberg in 1998 under the original name NetLedger and offered web-hosted accounting software. NetSuite Inc. is an American based cloud computing company with headquarters in California. It provides software services that help businesses to manage their operations, finances and customer relations. It is geared up to suit both medium and large-sized businesses with consolidated ERP, CRM, and e-commerce features. 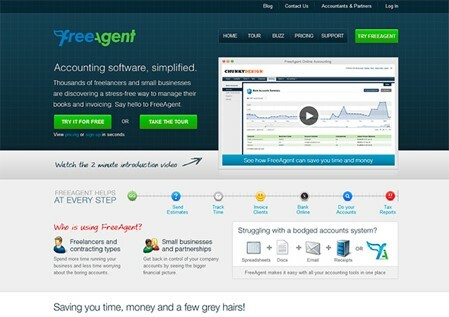 FreeAgent was founded by Ed Molyneaux, Olly Headey and Roan Lavery back in September 2007. It is cloud-based accounting software which is geared toward freelancers, micro businesses and their accountants. So, now that we have shortlisted our 7 best small business accounting software providers let’s have a look at how well they provide our ‘must haves.’ Of course, every penny counts, so it’s crucial to keep a close eye on your expenditure, income and of course customers, so you can figure out exactly how much money is going out and more importantly coming in. Accounting software tracks all of your financial data and provides the tools and reports necessary to manage more effectively inventory, billing, and payroll. If your business offers some form of a service, then you will need to look at a programme that makes light work of invoicing billable hours and tracking time. Some software includes time-saving automations which enable them to be set up to send recurring invoices as well as notifications about accounts that are past their due date. Other software offers features that can save you time by reconciling your accounts by suggesting transaction matches. If you provide customers with estimates or quotes then maybe you will need to look for a programme that is able to convert these documents into invoices, quickly and easily. 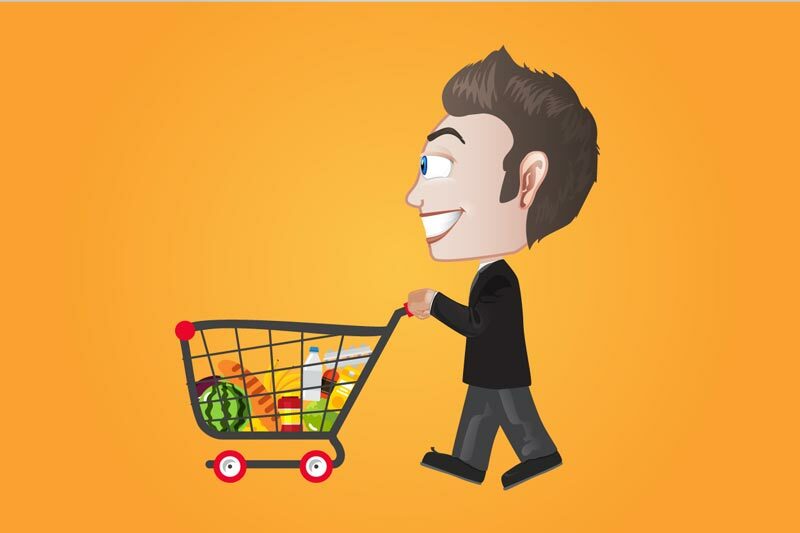 Finally, if you carry inventory, look out for a system that can reorder products by automatically creating purchase orders when specific products drop below a certain threshold. And the list goes on… so, how did our top 7 match up? 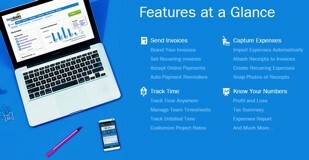 Freshbooks offers loads of invoicing tools that are really easy to use. Invoices can be customized, automatic payment reminders can be sent out together with late fees, recurring invoices can be set up, and there is even a feature that allows you to add billable time and expenses. This amazing software can connect to your bank, generate reports and track time. Is there anything this software can’t do??? OMG Freshbooks, 5 stars. 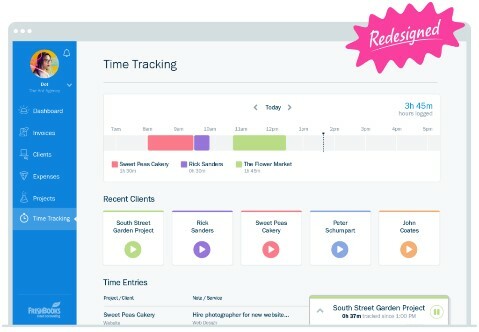 Xero is packed full of time-saving features by way of automating processes. In addition to its standard accounting capabilities, it also offers invoicing, bank reconciliations, purchase orders, inventory and mobile access. 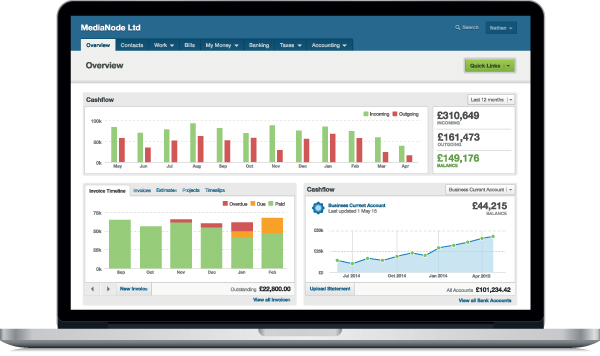 Oh, and Xero also brings it accountancy functionality to Mac users without comprising any features or usability. Nice one Xero, 5 stars. Quickbook offers some of the best accounting features at one of the best prices. Some of its time save features include built-in reports, automations, electronic invoicing, automatic back-ups, mobile apps, and integrations. Definitely worth considering, 4 stars Quickbooks. Sage 50cloud is a well-rounded small business desktop accounting solution, which is more than capable and incorporates a comprehensive set of customization options and features that include basic cloud functionality. It has unusually strong inventory-management tools but has no functionality for web or mobile clients. Nice try Sage 50 Cloud, 3 stars. Wave financial is completely free for invoicing, accounting and receipt; however, if you want personal technical support or Payroll, you will need to pay for it. The features are probably a little on the basic side for a medium size business but could be a good should for small firms and freelancers. I like the word ‘free,’ 3 stars Wave Financial. 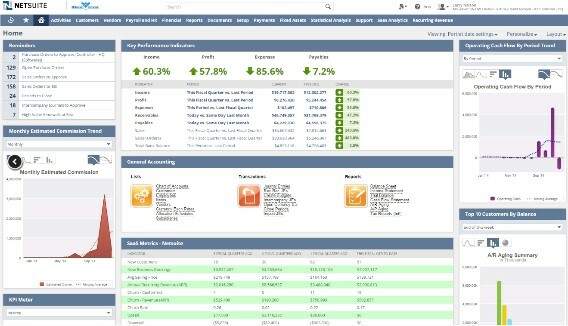 NetSuite accounting software offers a whole host of features which are used by thousands of companies for their accounting needs, such as strong expense management; financial close; streamlined and auditable revenue management; and complete real-time visibility of critical information related to the company’s financial performance. 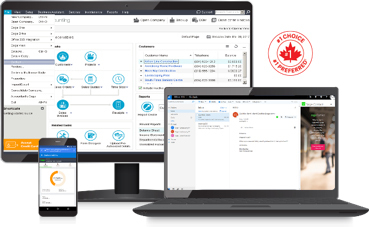 As well as all this, NetSuite accounting software integrates perfectly with other NetSuite software like inventory, order management, e-commerce and CRM functions. Not too shabby Netsuite, 3 stars. 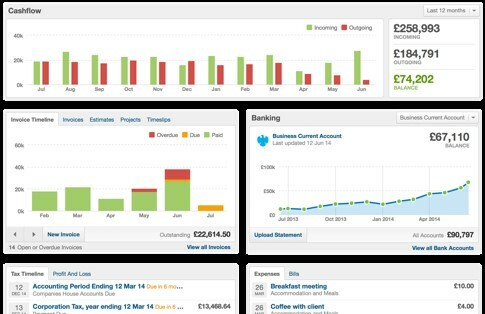 FreeAgent’s online accounting software brings everything together nicely. From expense and invoice management to sales tax and project management. 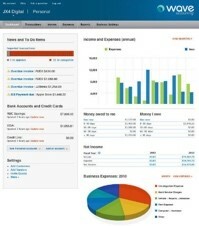 Other features include the ability to set up recurring invoices, expense tracking and automatic bank feeds. Good job Free Agent, 3 stars. Imagine having the best accounting software on the planet, but not being able to use it? Sometimes, how easy something is can make or break a deal. Remember, both you and your staff will need to learn how to use the accounting software that you choose, and there is a likelihood that over the years there will no doubt be staff turnover. This means that you should choose an accounting software package that is easy to learn, taking into account the time and resources that YOU are willing to provide to the training of employees. If you are a small business, with limited resources to get your employees up and running and where there is a turnover, then I would recommend choosing an easy-to-use, simple accounting software programme. So, without further ado, let’s see how easy our top 7 were to use. 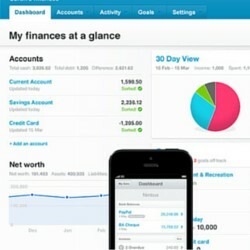 Freshbooks is an easy to use, intuitive, and non-accountant friendly finance management app, which is a pleasure to use. It is one of the most straightforward accounting apps available, where upgrades and maintenance are automated, which makes accounting really fast and enjoyable. 5 stars Freshbooks. Xero is incredibly easy to use, even those with no accounting knowledge will find it easy to manage, and it transforms some of the most complex and standardized financial concepts into a pleasant journey. The set-up process does take up a fair chunk of time though, as most of it is spent importing previous bank statements, items and contacts, etc. Nicely done Xero, 4 stars. 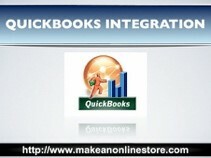 Generally, QuickBooks is intuitive and easy to use. The user interface is beautifully designed; however, the organization could benefit from a little improvement. Some features are hidden within the settings which make them difficult to find if you haven’t used them before. Good try Quickbooks, 3 stars. Sage Business Cloud Accounting is overall well-organized but can be a little challenging to navigate at times. Some parts of the user interface could be significantly streamlined; however, the features are there and predominantly that’s what counts. Room for improvement Sage 50 Cloud, 3 stars. Wave is an extremely easy accounting software programme to set up and use. Navigation is simple, and the overall organization is intuitive. The user interface is aesthetically pleasing, which is always a bonus. 3 stars, Wave Financial. 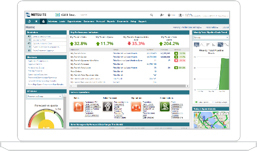 Netsuite is easy to use and has a clean and aesthetically pleasing user interface. It is intuitive for both end users and those who are non-technical. The dashboards are specifically designed for each employee’s role within the company which makes the software so much easier to use, as the dashboard isn’t cluttered with unnecessary features. Very smart Netsuite, 3 stars. Free Agent has an appealing user interface and for most of the time is really easy to use, however, sometimes the software can get a little confusing, but there are always great support resources to make things easier. Good job Free Agent, 3 stars. Of course, each accounting software has different usability factors. What matters though, is what is important to you and your business. 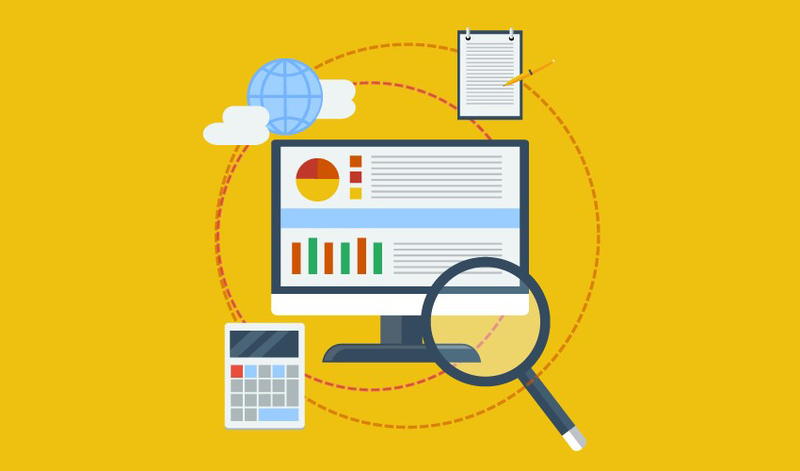 To ensure that you choose the correct software for your business, there are several considerations that should be looked at, including: Multi-user access – including who can access what, multiple business support- if you own more than one business you will probably want accounting software that supports small businesses all under one account (with no additional cost) and finally cloud-based and mobile access – most accounting software nowadays is cloud-based which means that users can access their accounts anytime, anywhere, provided they have internet access. So how did our top 7 cope? FreshBooks offers mobile platform add-ons for both Android and iOS devices, which allow you to access data and carry out your accounting, wherever your location. Both mobile platforms function perfectly and include secure backups to keep your data safe. The new product version even includes a comprehensive Projects suite which allows seamless and streamlined communication. Excellent Freshbooks, 5 stars. 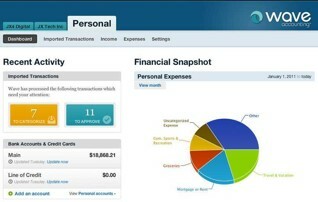 Xero is accessed via a web browser and supports unlimited users, unlike some of its competitors. This cloud-based software does offer mobile apps, but users have reported that the functionality could be improved, especially when compared with the desktop version. Not bad Xero, 4 stars. QuickBooks is a cloud-based software that operates with nearly all internet browsers so long as you have internet access. It’s online mobile app does lack some features that are found in the browser-based version; however, it does provide mobile access to tools that you may need when on the road. The number of users is dependent on the plan that is chosen (and what is paid, more money = more users). Not bad Quickbooks, 3 stars. Although Sage 50 Cloud does offer mobile apps for both iOS and Android users, there have been reports of it crashing especially amongst Android users who also reported limited functionality. The Business Cloud Accounting only has two payment gateways, no extra add-ons, and no payroll support for customers from the US. Sage 50 Cloud had limited invoice customizations, spotty mobile apps, no dashboard a lack of estimate and quote support for the Sage Business Cloud Accounting Start plan. What can say Sage 50 Cloud, 2 stars. Wave produces free mobile applications that integrate with their online functionality including invoice for Wave for iPhone and Android, payments by Wave for iPhone, receipts by Wave for iPhone and Android and Payroll by Wave for iPhone. It also offers multi-company support. A little limited Wave, 2 stars. 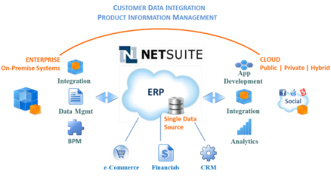 Netsuite is a scalable cloud ERP solution that is geared up towards high-growing and medium/large size enterprises. It automates both the front and back office processes which includes revenue, order and financial management, billing and fixed assets. 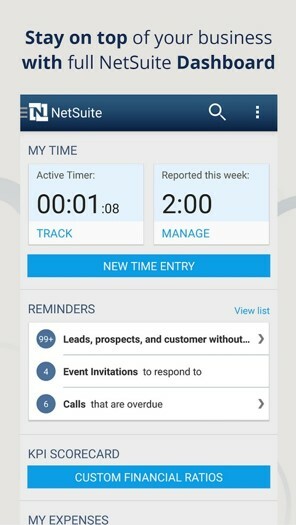 The Netsuite iPhone application also extends the software’s functionality to mobile devices. Not bad, Netsuite, 3 stars. Free Agent does offer mobile apps; however, there have been several reports of glitches and crashes when using them. One of Free Agent’s advantages is that you are able to associate it with your bank accounts or move numbers in and out of its 3rd party integrations, with a few simple clicks. Could offer more, Free Agent, 2 stars. Third-party integrations and add-ons can make running a business much easier as they integrate with programmes and services that are already being used and automatically share data between systems in real time. Popular integrations include payment processing, e-commerce, POS systems, advanced inventory management, CRM, ERP, Google apps and email marketing. 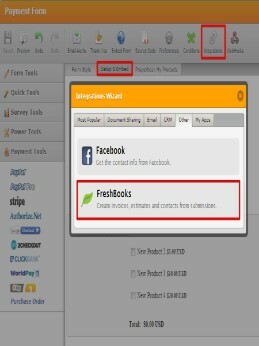 FreshBooks has decreased the number of integrations available. The software has gone from having 40 integrations to 25. Another thing to keep in mind is that for online payments, it only supports Stripe. This could be a deal breaker for any small businesses that may need PayPal. A little disappointing, but nevertheless 4 Stars Freshbooks. Xero offers over 500+ integrations, and if that wasn’t enough, it also integrates with Zapier. This will then connect the software to shed loads of additional add-ons. Remember though, some of the integrations are country-specific, so before making any purchases or additions, ensure that they are compatible. Good show Xero, 4 stars. Recently QuickBooks dropped from having 400+ integrations to around 280. However, despite this drop, QuickBooks still offers a really impressive number of integrations and partners with many reputable add-ons. Excellent, 4 stars Quickbooks. 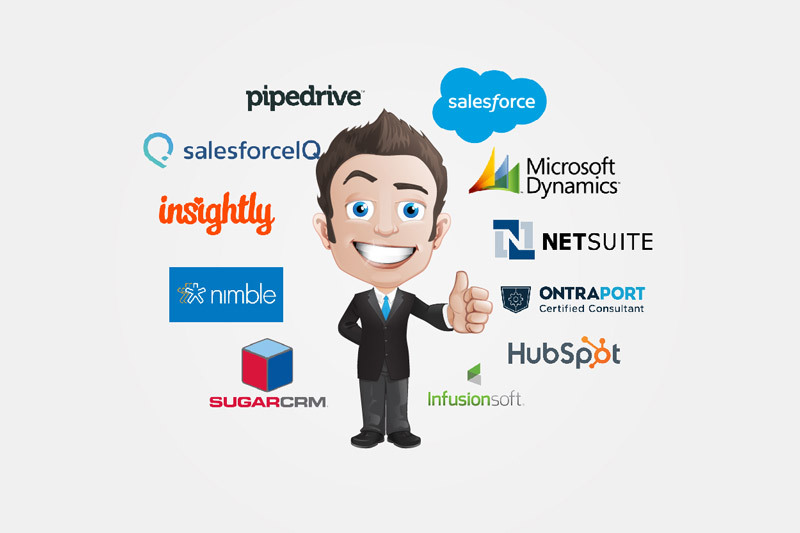 If you are looking for integrations, then stop reading now. It would seem that Sage has overpassed their US users. Instead of the 25+ integrations that are available to UK users, those in the US are limited with only three add-ons. Thumbs down, Sage 50 Cloud, 1 star. Wave doesn’t have a huge number of integrations and has even dropped several. What they have done though, is added one major one —Zapier. 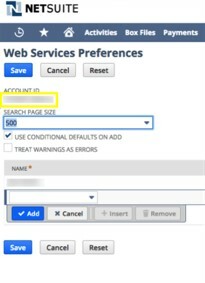 This connects Wave users with up to 500 third-party add-ons, which solves the issue of integrations. Nice turnaround Wave, 3 stars. Netsuite offers just under 350 integrations, although not all of these are direct partnerships with the integrated software. Many are available via NetSuite’s open API. Even so, the number of integrations is still extremely impressive, especially considering that it doesn’t have to offer as many integrations as it does because it is already a jammed packed software package. 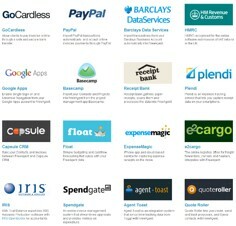 However, it must be noted that very few of the 350 integrations are payment gateways. Good try Netsuite, 3 stars. Free Agent really does an awesome job where integrations are concerned. 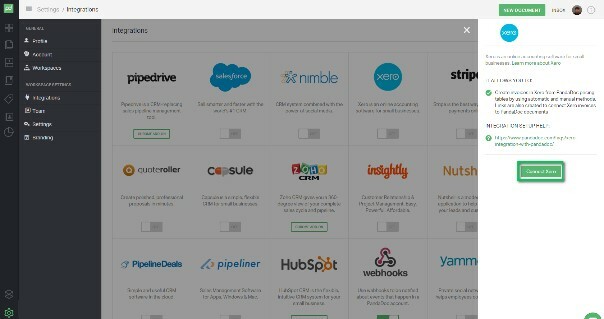 It offers 26, including Zapier which will then allow you to connect the software to over 750 other add-ons. An added bonus is that the integrations that Free Agent offers are really some of the best on the market. Nice work Free Agent, 3 stars. 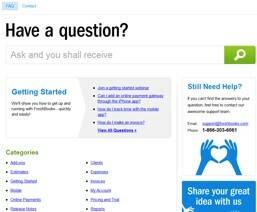 Freshbooks offers fantastic customer support (and has won several awards for it). 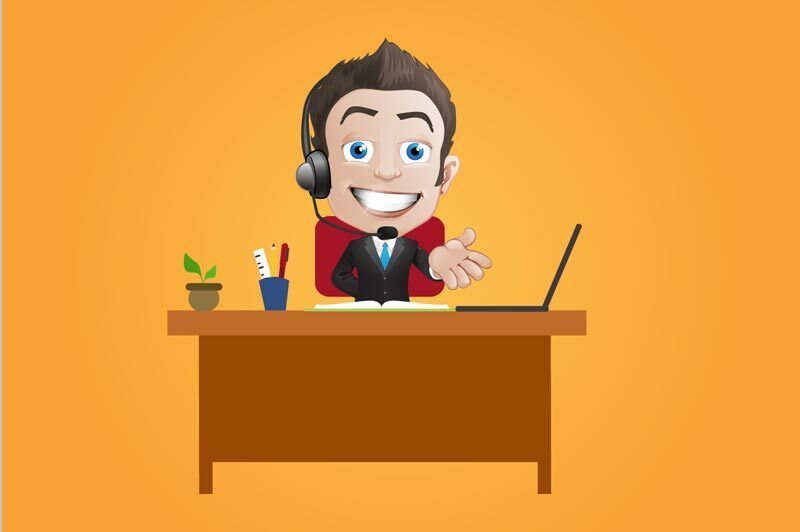 All calls go directly to a real person and email response times are quick and informative. Other support options that Freshbooks offer are: webinars, contact forms, blogs, help center, social media, YouTube plus it offers in-software support. Fabulous Freshbooks, 5 stars. Xero’s customer service is available 24/7 but doesn’t offer telephone support. It does operate primarily on email support and response times are usually quick and under an hour (although they state it will be within 24 hours). Xero does offer additional resources including live chat, in-software help button, community forum, help center, guides, Xero TV, podcasts, blogs and social media. A well-deserved 4 stars, Xero. QuickBooks Online offers phone support (from 6:00 am – 6:00 pm PST, Monday through Friday; Saturday hours are 6:00 am – 3:00 pm PST) which is much more efficient and quicker than of times past. 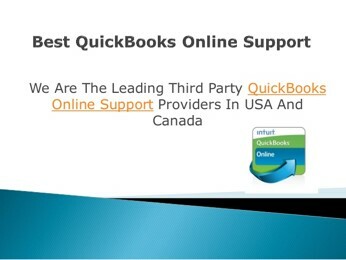 QuickBooks Online’s support services include help center, community forum, video tutorials, in-programme help button, YouTube, video tutorials, Quickbooks blog, resource center and online advisor and social media. Very good Quickbooks, 4 stars. Overall, the Sage 50 Cloud customer service is good. Phone calls are answered promptly, and representatives are kind, patient and informative. The in-software chat support also provides quick solutions to most accounting questions. Good comeback Sage 50 Cloud, 3 stars. Wave offers customer service support from 9:00 am to 5:00 pm EST, together with phone support from 8:00 am to 8:00 pm EST. The free phone support covers issues including Payroll, Lending, and Credit Card Processing – for everything else, there’s email. Wave does offer resources including, YouTube, a help center, blogs and social media. Good stuff Wave, 3 stars. It’s easy to find answers when looking for help in Netsuite as support is available in various forms. From phone, email, training, connecting with other users to the NetSuite Help Centre itself, – help is never far away. Good work Netsuite, 4 stars. Free Agent claims that they don’t have support representatives, they have ‘support superheroes,’ who are available from 9-00am-5pm weekdays. Most of the time the responses are informative and quick. Aside from email support, Free Agent does offer loads of helpful support features and online business resources. Well done Free Agent, 3 stars. Workflow Management – this is for those who opt to work in a paperless environment and need to be able to carry out simple processes such as time sheets, check approvals and vendors. Tax Preparation – Why not make both you and your accountants life a whole load easier by choosing an accounting software that includes automatic tax calculations and multiple tax reporting and rates. Another area that should really be considered is scalability and upgrading. You will need software that is easily upgradable, as no doubt as you grow, you will be dealing with more transactions more users and more features. 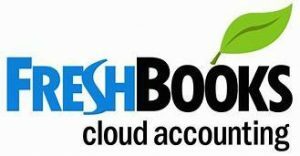 FreshBooks does not use double-entry accounting and does offer limited reports, and banking reconciliation capabilities. 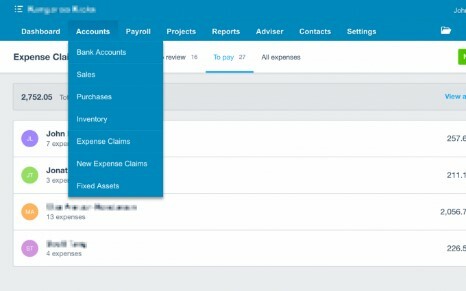 That said, it does offer strong billing and invoicing features, client management tools together with unique time tracking and light bookkeeping/accounting functions and has one, if not the best client portal out there. Good try Freshbooks, 4 stars. Xero boasts an impressive inventory and contact management software features together with robust payroll capabilities, scalability, double entry, and automation time savers. At present, Xero both runs and processes payrolls and can automatically adjust taxes for over 20 states. Not bad at all Xero, 4 stars. QuickBooks offers a wide range of features combined with the complex accounting capabilities that are a must for small business owners. The software includes a rather impressive number of integrations and has created a much-needed project management feature and has added an exciting new lending feature. Good progress Quickbooks, 3 stars. Sage 50 is an easy to use accounting software for growing small businesses; however, it is scalable to also perform big business accounting. Standard accounting features are included, such as accounts payables and accounts receivable; cash flow management and bill payments and can be used by up to 40 employees. 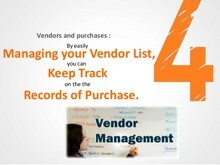 It features advanced accounting tools such as inventory management and module-level security. Not too shabby Sage 50 Cloud, 3 stars. Wave offers a new contact management feature, restored reports, bank reconciliation feature, and a unique lending feature which isn’t seen anywhere else on today’s accounting software market. It can connect to banks and credit cards, tax services, handle double entry accounting, generate automatic and export reports, has built-in payroll and invoicing, receipt scanning and multiple businesses can be run from one account. Phew, quite a lot to take on board here, well-done Wave, 3 stars. 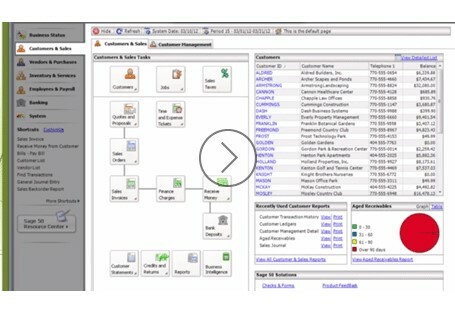 Netsuite offers self-service portals that enhance both B2B and B2C collaboration. It has unlimited database capabilities and is capable of full-blown project accounting. One of Netsuite’s strengths is its ability to well beyond the realms of spreadsheets and allow businesses to do custom; system wide inquiries that can be based on any type of criteria. The real-time access to almost any data within the system through custom reports and customizable templates together with its ability to create what-if scenarios, is what makes Netsuite such a powerful financial planning tool. Wow, Netsuite, 4 stars. One of the extra features that I liked about Free Agent was the VAT handling. Free Agent supports the flat rate scheme as well as cash accounting. It deals with the 1% discount on the flat rate scheme together with the switch between cash and accruals. The VAT return was a nicely laid out, but the option to drill down to explain the figures appeared to be non-existent. Not a bad try, 3 stars. 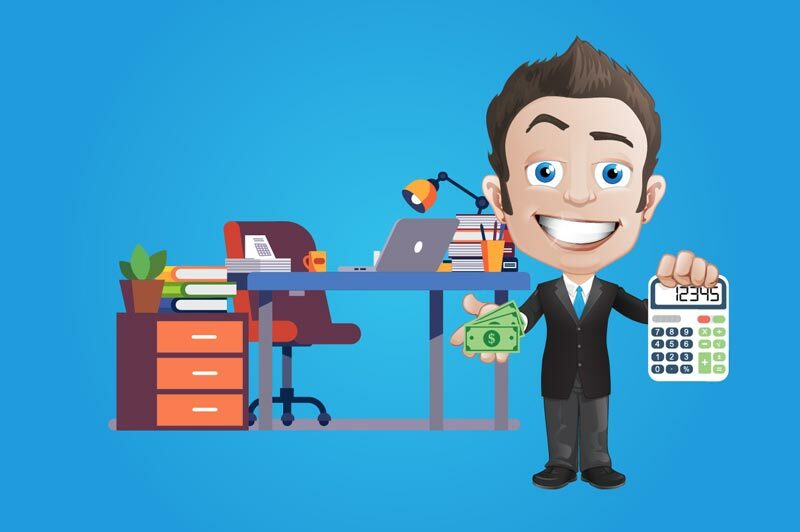 So, now I’ve covered the 7 Best Small Business Accounting Software ‘must haves’, hopefully, you will now have a better overview of what is crunching the numbers and what, well, is just crunching!! How do these Top 7 compare on our checklist criteria? The results do help to paint a clearer picture, but the most important factor is which small business accounting software is the best for YOU and your BUSINESS? Well, there is still one huge feature that could have an enormous impact on your decision…. Often, Mac users have the rather nasty end of the stick when it comes to the issue of software. They usually find that it is marginally less intuitive than its Windows counterparts, or that it has been stripped down. Well, just stop there. 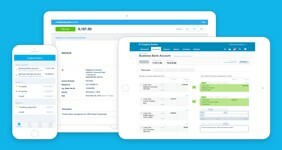 Xero’s cloud-based accounting software is available to both PC AND Mac users and is a fully packed feature rich solution that DOES NOT comprise on ease of use OR on any features just because you’re a Mac user, yay !! It can help you to simplify your accounting while saving time and can integrate with over 600 apps. The cherry on the cake is that it also comes with 24/7 live chat and email support plus outbound phone assistance – all at no extra cost. The Best Free Small Business Accounting Software is..
Not all small businesses are the same; therefore not all need the extra support and features that come with a paid accounting service. Wave Financial offers FREE, cloud-based accounting software, which has been specially designed with small businesses in mind. Wave Financial offers a whole range of comprehensive accounting features, unlike other free accounting software programmes, whereby their capabilities are limited – all without a monthly price tag… excellent…. Now that I have compared the various small business accounting software, based on various factors, I will conclude with a brief summary of each. Remember, there are full reviews available, and these are merely ‘mini’ ones that reflect the findings from the roundup post together with my own analysis. Freshbooks is a fast and reliable accounting suite that turns what would usually be considered complex financial management into a rather pleasant experience. It enables businesses to manage recurring subscriptions and invoices quickly and easily as well as collect online payments – all from the same system. FreshBooks’s enables Paypal, Google Checkout, and credit card payments as well as integrating with a huge list of business applications and systems that is able to streamline this process. One of the most significant advantages Freshbooks has over its competitors is its availability of fully functioning add-ons and mobile apps for both Android and iOS devices. These apps give you the power and convenience of the software, whenever or wherever you are. There is no doubt about it that Freshbooks takes the finances away from the office, but it does it in a seamless and safe fashion. Xero is a web-based solution and is easily accessible via any devices that have internet connection. 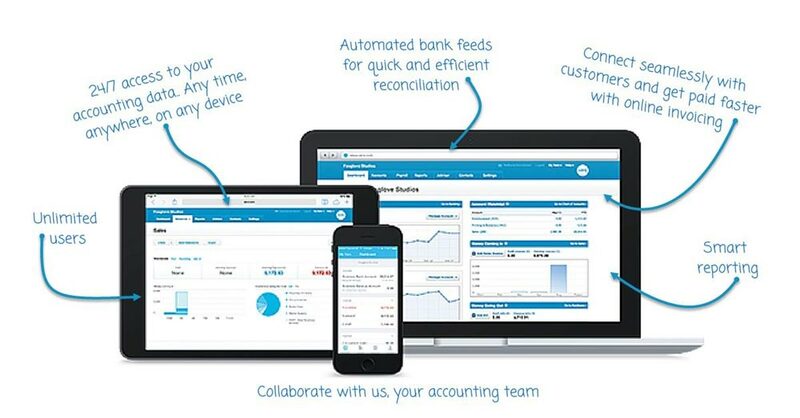 Xero has robust accounting features which mean that small businesses are able to view their transactions, cash flows and account details from any location, quickly and easily. Bank transactions are automatically coded and imported and with their online bill pay feature, businesses can keep on top of spending and up to date with any bills that are due. Xero comes with a 30-day free trial so that users can test the product and feature evaluation. Payroll is only in 37 states. QuickBooks offers true double-entry accounting including ample reports together with a strong accounting chart, customizable invoices, payroll support, inventory capabilities, over 200 integrations and multiple currencies. Additionally, QuickBooks online does offer more features than you get with the traditional, locally installed QuickBooks version such as split transactions, sales receipts, location and class categories and scheduled invoices. Many customers believe that due to the sheer mobility of QuickBooks online, it is most definitely worth upgrading. One of the greatest downsides of Sage 50cloud is the price. At first glance it looks pretty on par with its competitors but when you look closer, and reality hits that these prices represent a 70% discount (and then only for the first year of service) it so quickly seems extremely expensive. User interface is somewhat outdated. The pricing plan is quite expensive. Waves software is completely free, yay!! There are, however, extra costs for payroll, but even so, ALL Waves standard features are free, FOREVER!! (meaning there are no artificial limits like other ‘free’ accounting options). Wave’s interface is easy to use and aesthetically pleasing. It provides all the necessary tools for estimates, invoicing, billing, expense tracking, contact management, advanced sales tax settings and much more. Waves have also added a bank reconciliation feature, a contact management feature, and more reports, which means that Wave is better than ever and is a great accounting software solution that small businesses should consider. NetSuite is a business package that is designed for very large businesses and enterprises AND that have healthy budgets (there are plans that start at $10,000 per year!!). 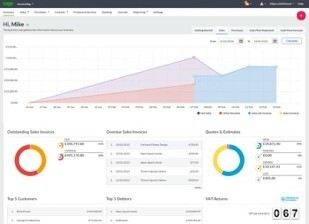 NetSuite doesn’t simply focus on bookkeeping; the company also sells multiple business management products such as e-commerce, CRM, SRP, ERP, POS, retail, reporting and much more. If you inquire into NetSuite, what will happen is that a sales representative will determine exactly what modules are required for your business and that will reflect on the price that you can expect to pay. What you get in return, is bespoke software that will include all of the features necessary to ensure that your company succeeds. 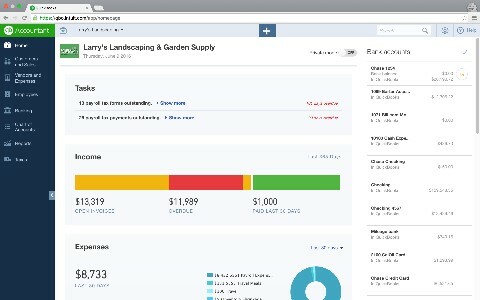 Free Agent offers basic accounting features, inventory, project management, time tracking and loads more. The software is perfect for UK users who are in need of international invoicing and VAT support. For a flat monthly fee, users are given access to unlimited users with NO feature limits either. Free Agent’s user interface is easy to use, and it has strong customer support available. Although Free Agent does offer a shed load of features, some of them aren’t fully realized yet which means that they aren’t as easy to navigate as those in other software solutions. Also, Free Agent’s importing capabilities and accounting charts are limited; there are hardly any invoice customizations and only seven reports. There it is, our definitive review of all the aspects you should look for when choosing small business accounting software to ensure that your business goes from zero to hero status. Have you been party to the best small accounting software that we have reviewed, if so, what can you share with us? Either way, I would love to hear from you, and, will be personally responding to all comments.